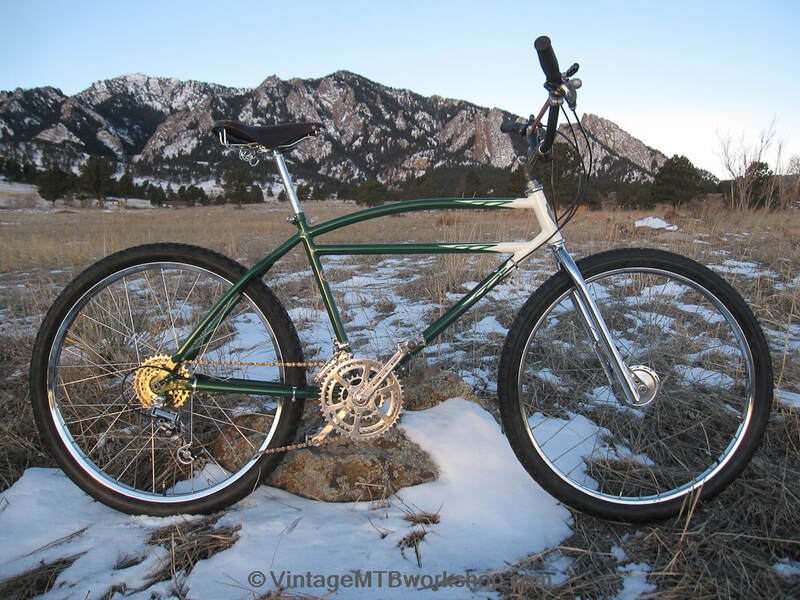 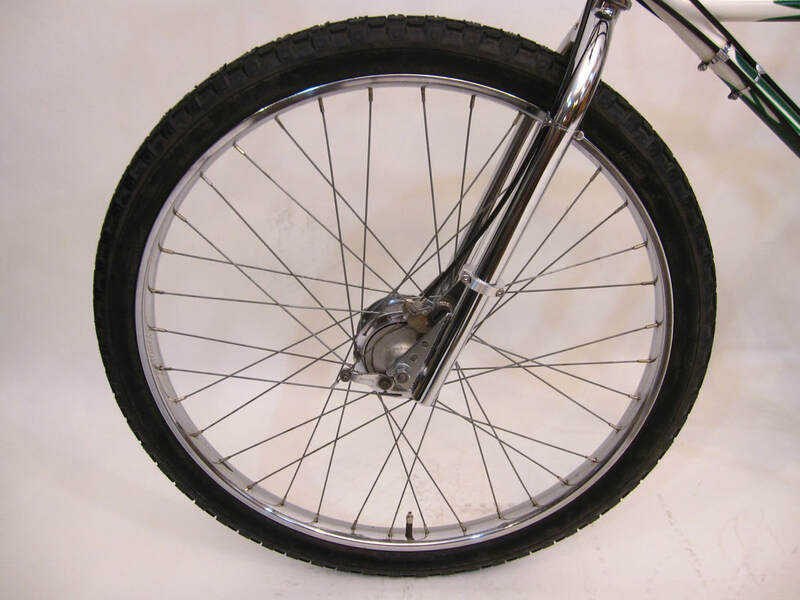 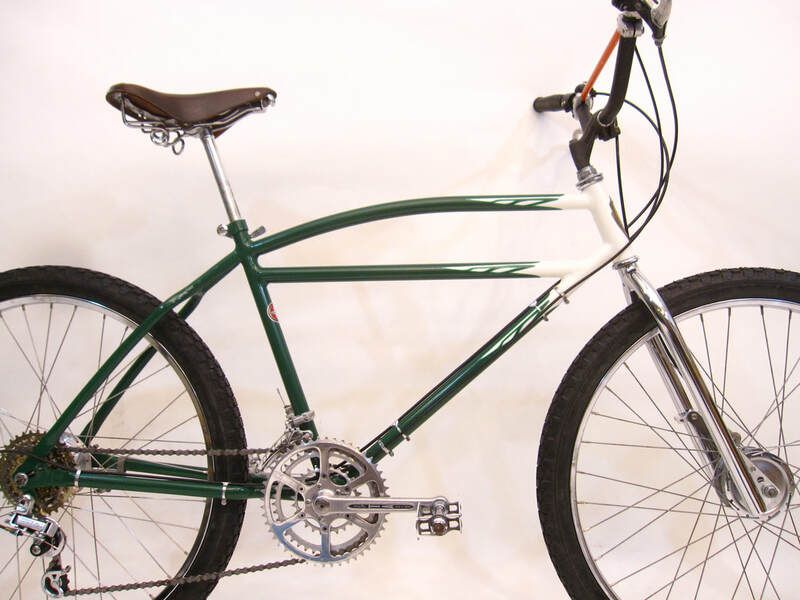 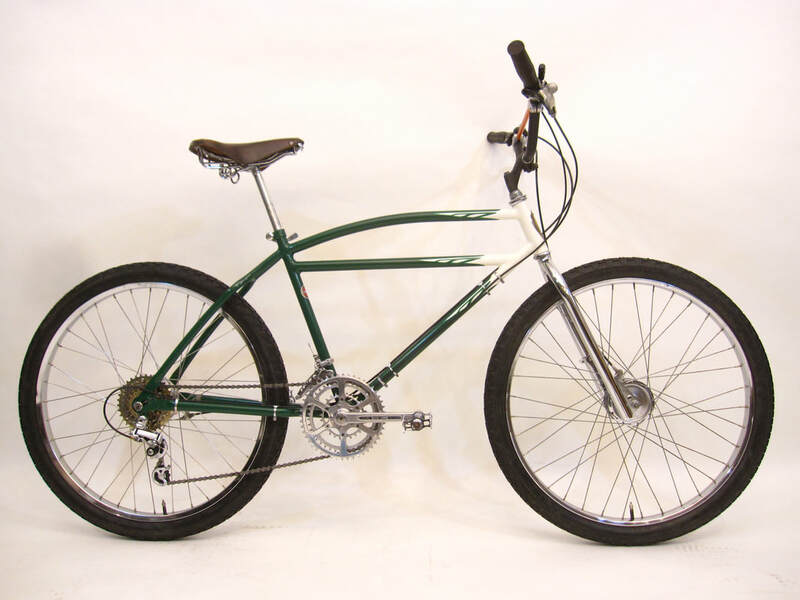 This replica klunker is based on a rare, pre-war Schwinn with a straight downtube and rear-facing dropouts. 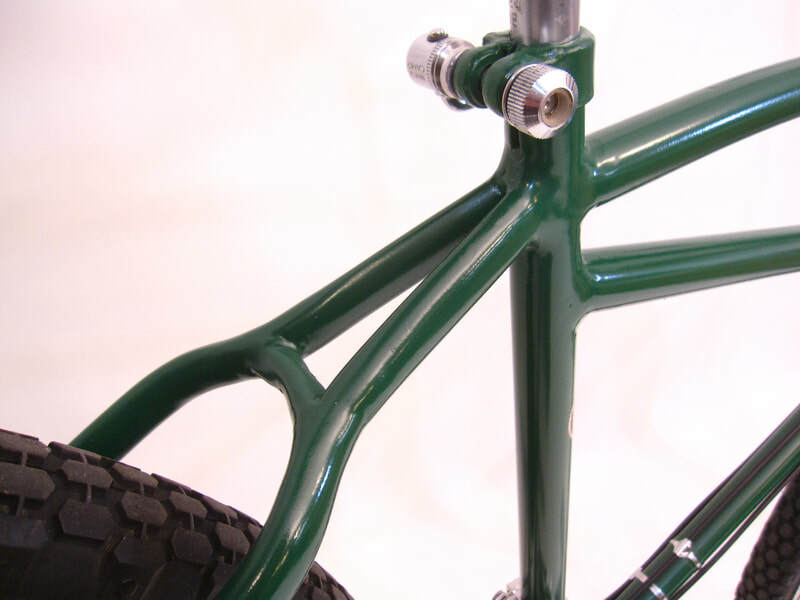 The build of the bike follows the evolution of the off-road concept started with the original Larkspur Bomber by adding a full compliment of 15 gears as well as lever-actuated brakes front and rear. 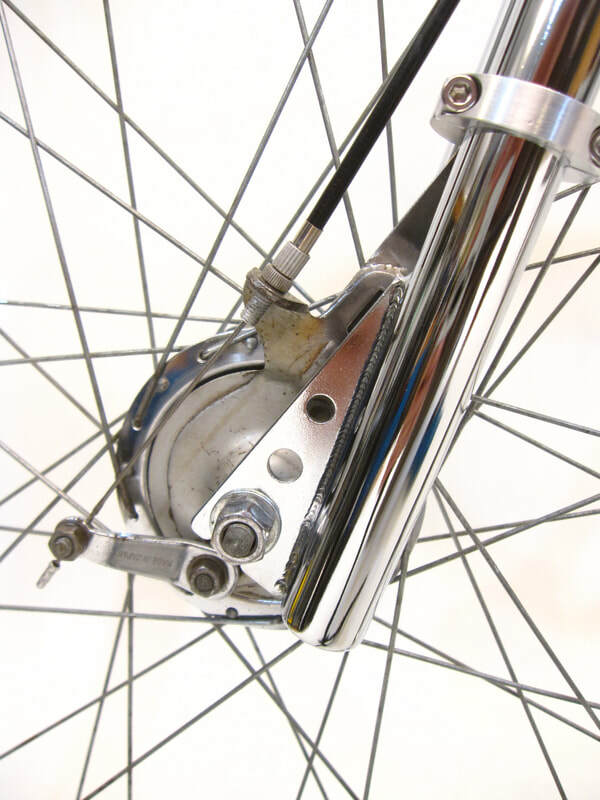 Although heavy, drum brakes offered consistent stopping power even in adverse riding conditions. 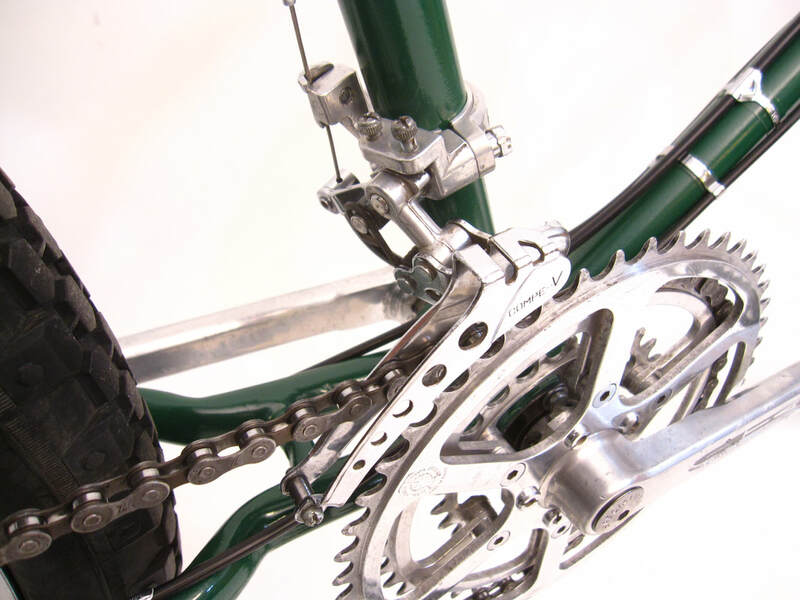 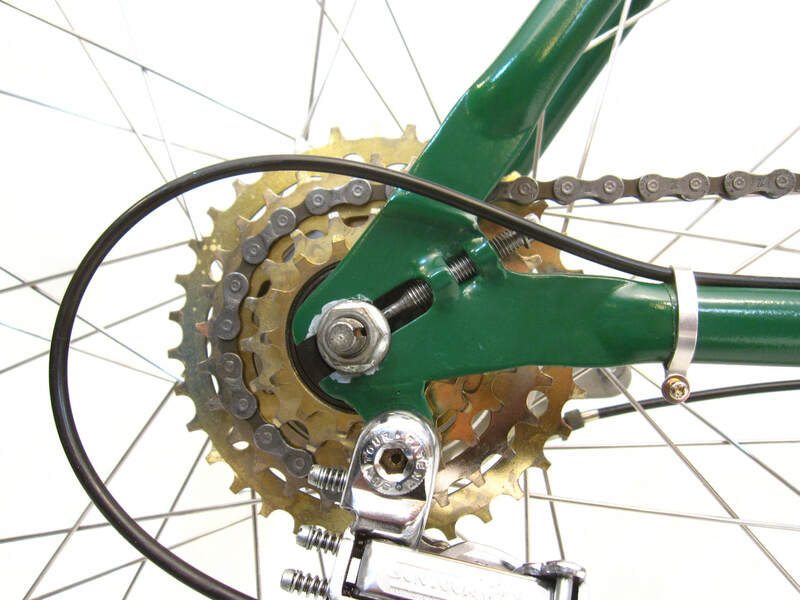 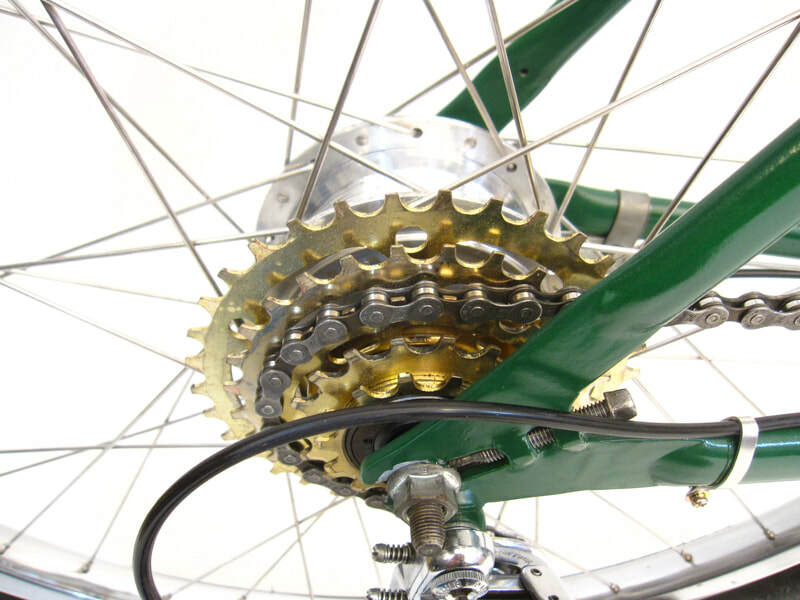 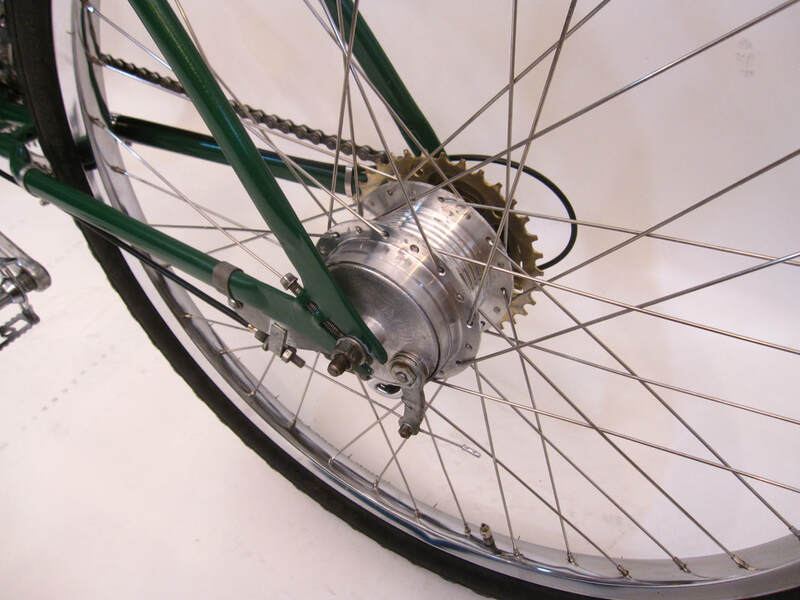 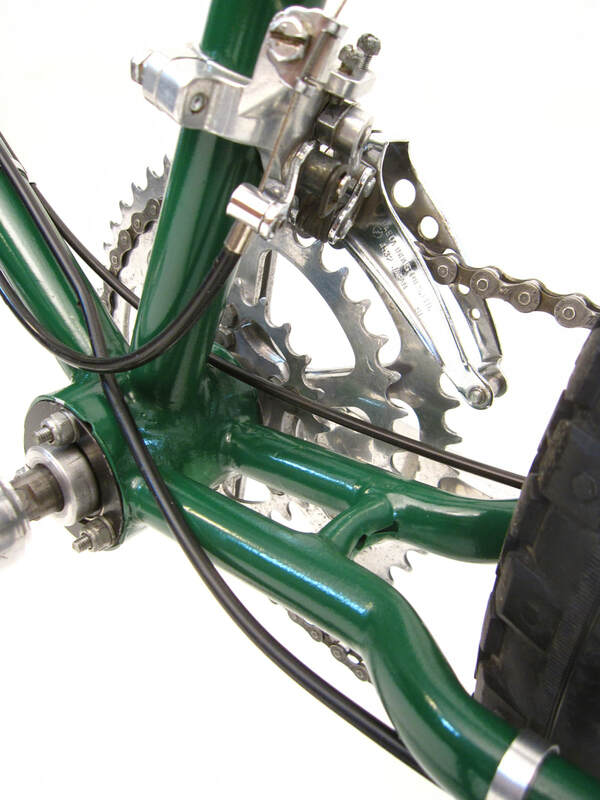 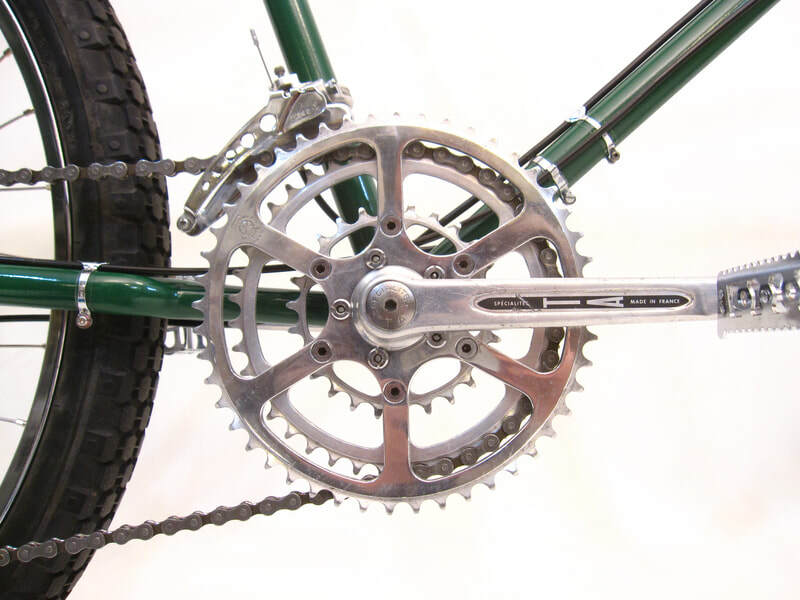 The drive train is rudimentary but typical of the era, with parts taken from skinny-tired touring bikes. 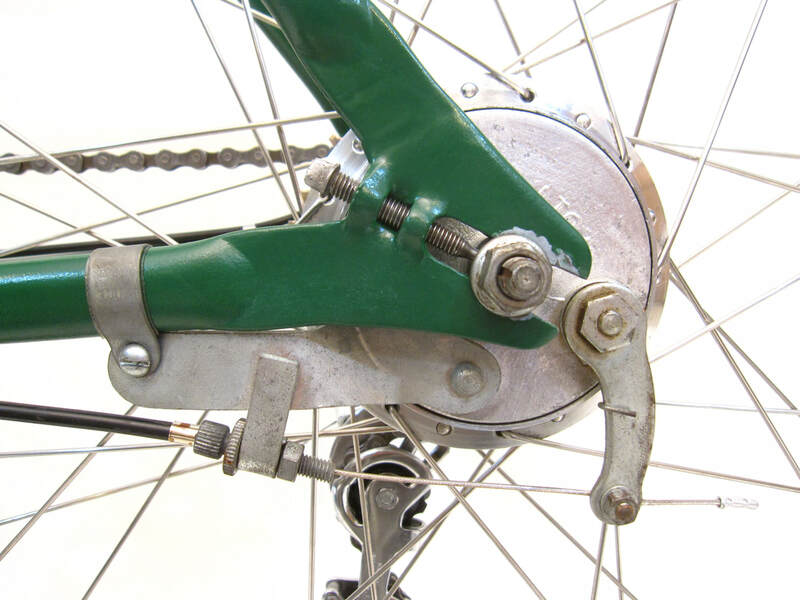 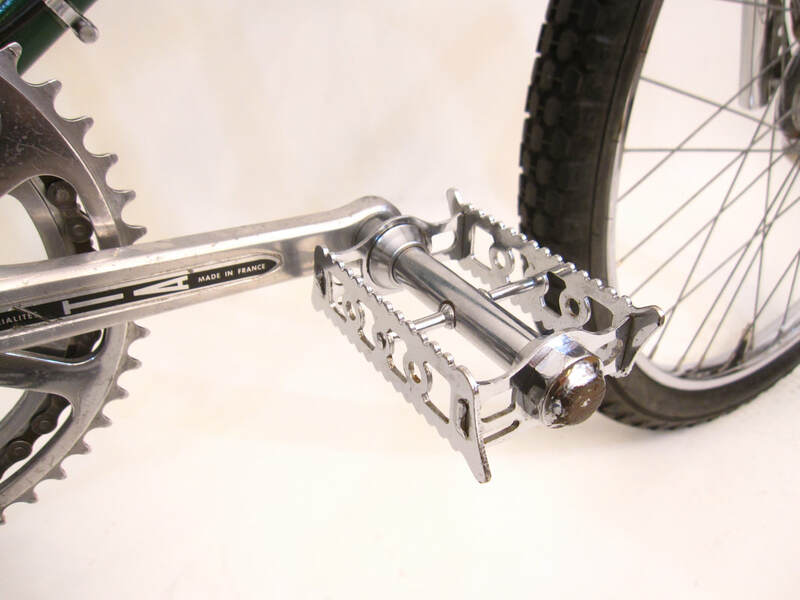 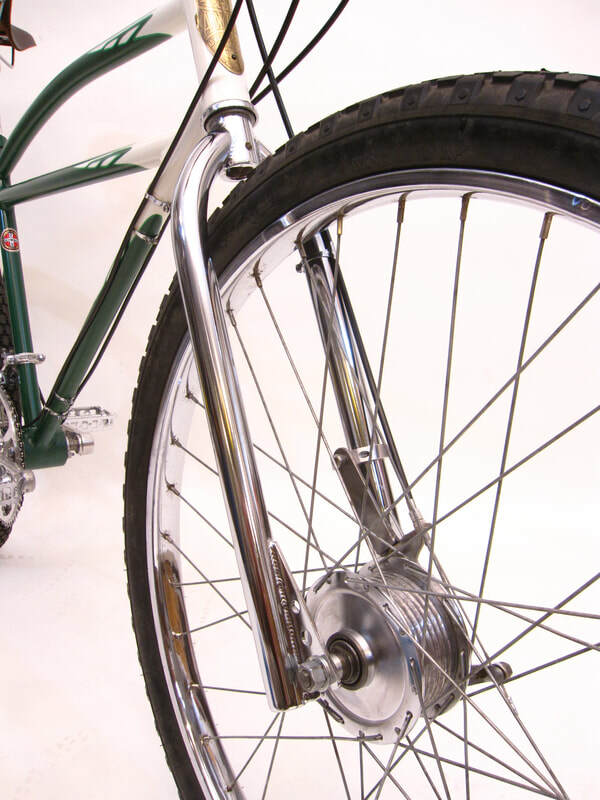 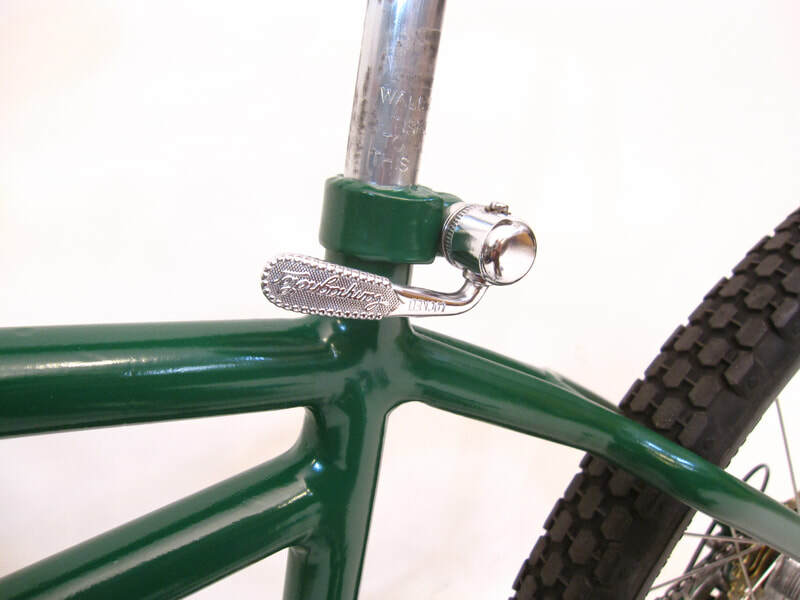 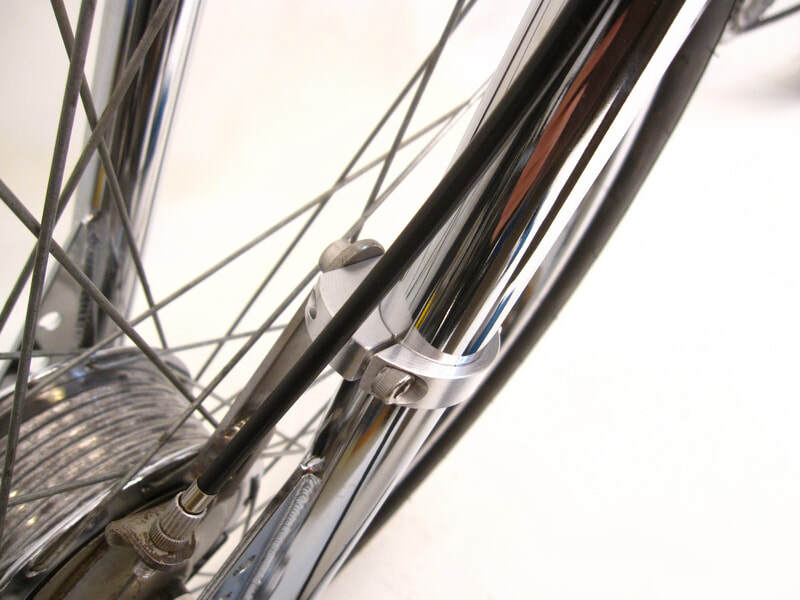 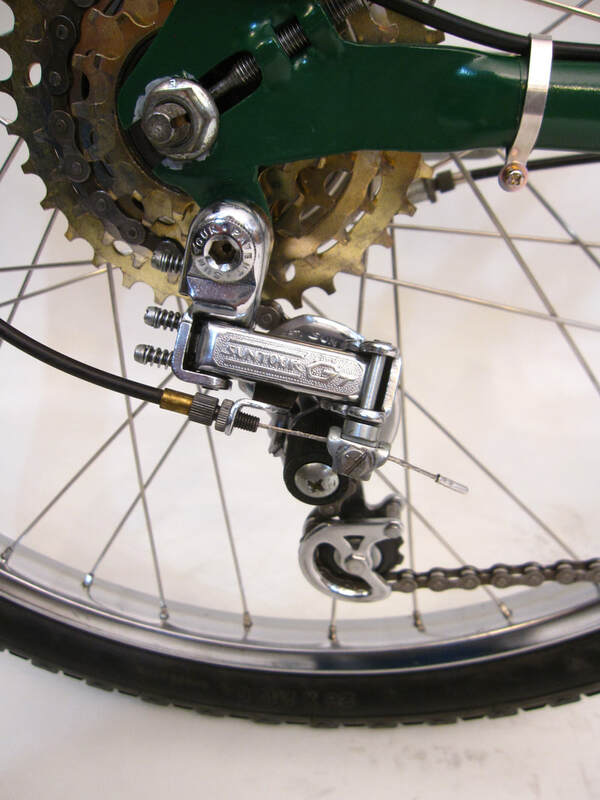 Attachment of the rear derailleur was made possible by a tab welded to the right dropout, as was typically done. 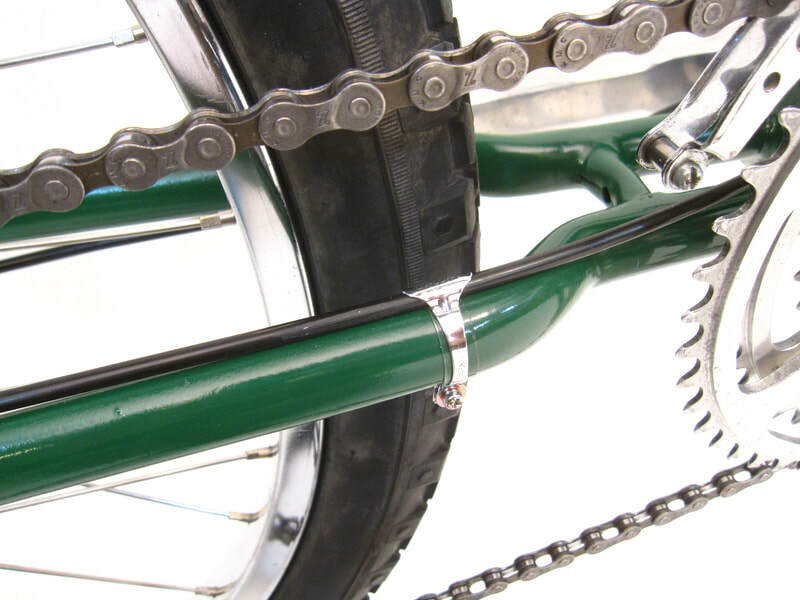 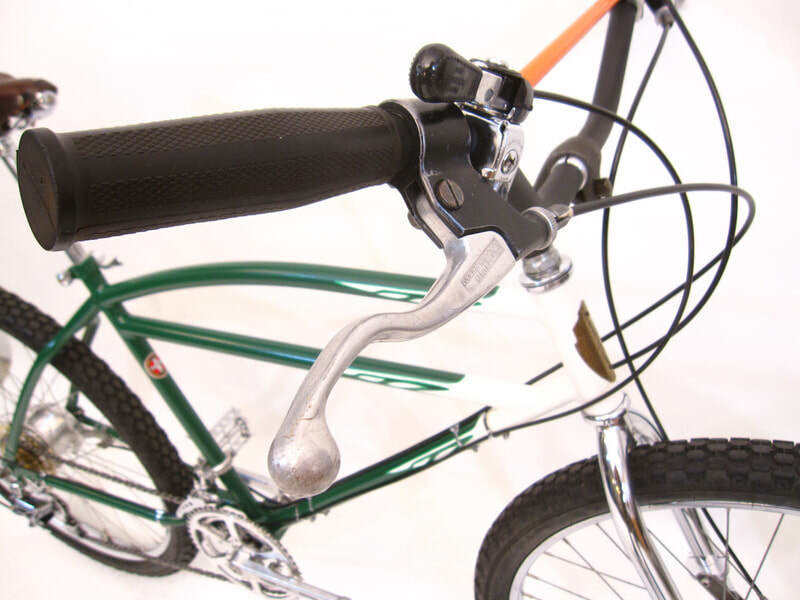 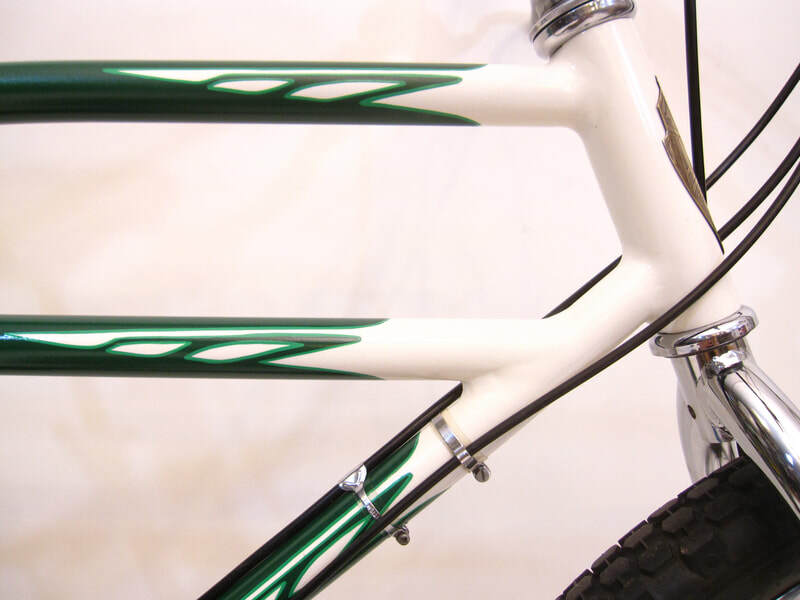 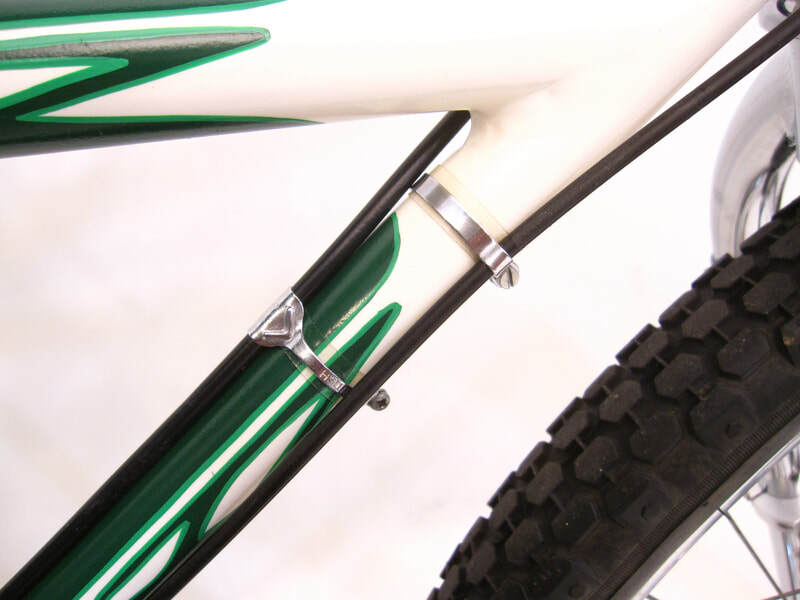 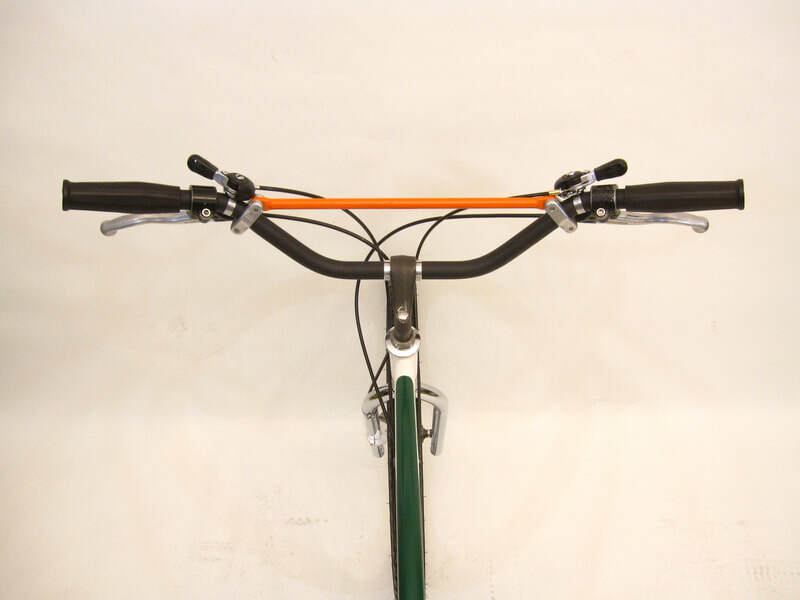 The Magura bars were originally purchased mail-order from the Cove Bike Shop, which had cut them to their present width to be just sufficient to fit everything. 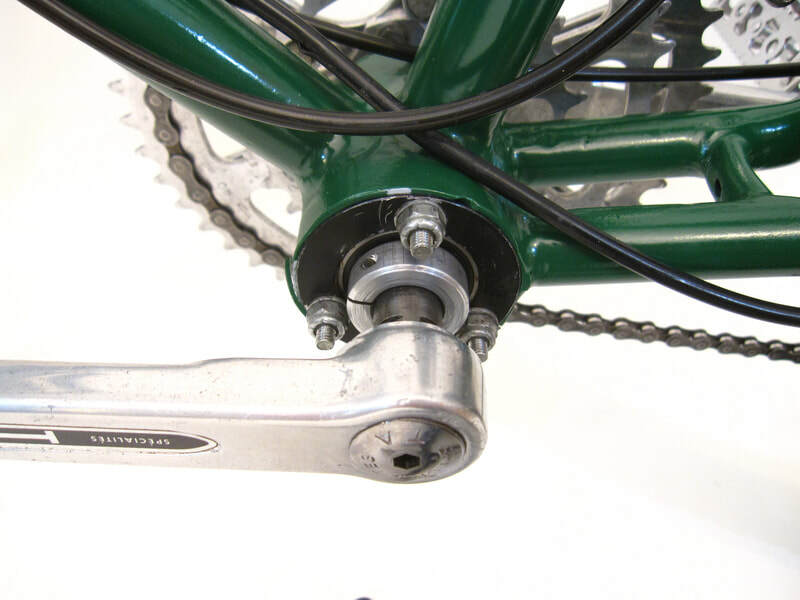 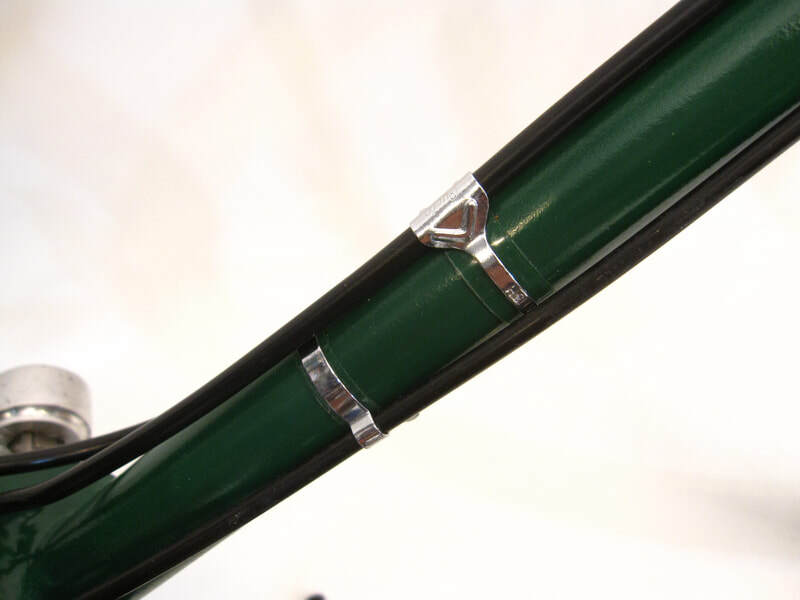 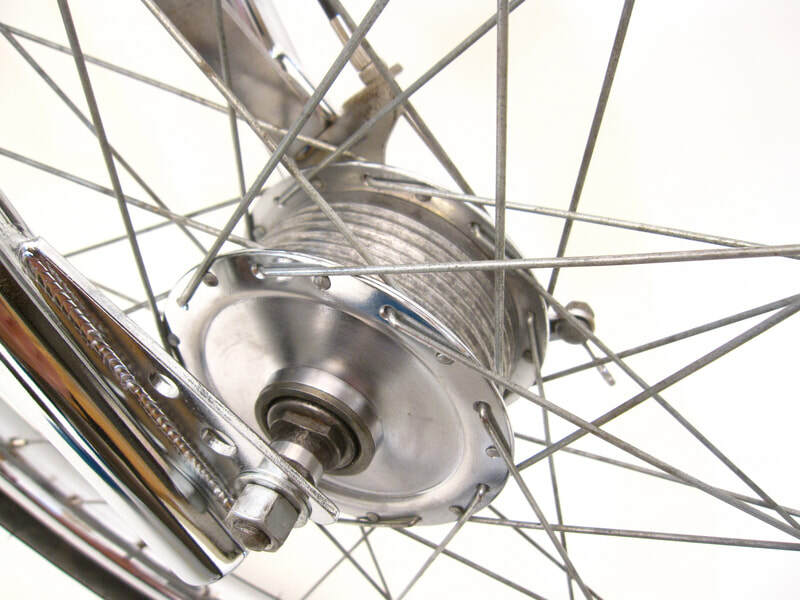 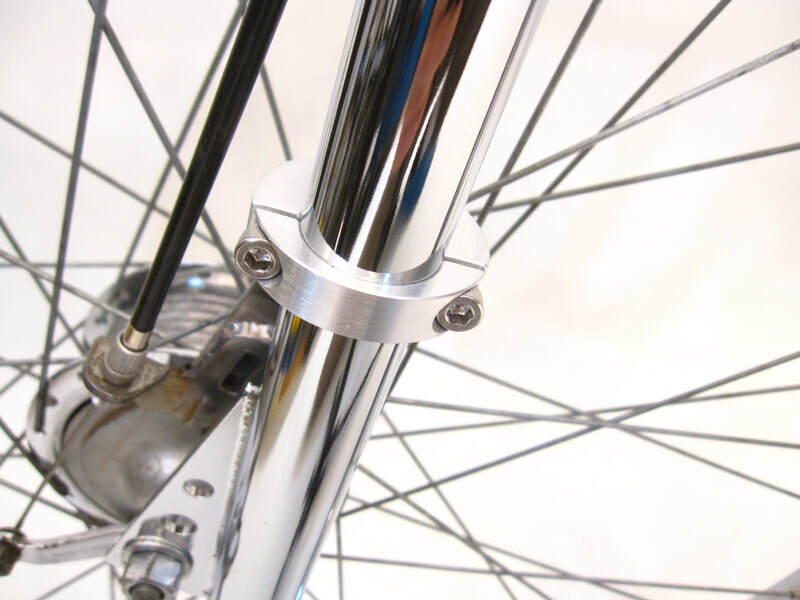 A Bullseye bottom bracket was used to run a European spindle in a large, American bottom bracket shell. Although not original, the B. F. Goodrich paint scheme was selected for it's elegance. 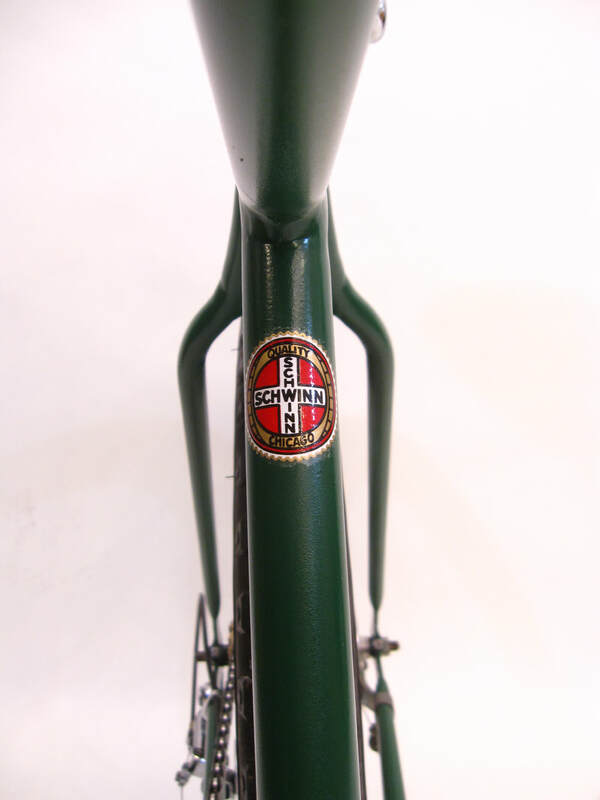 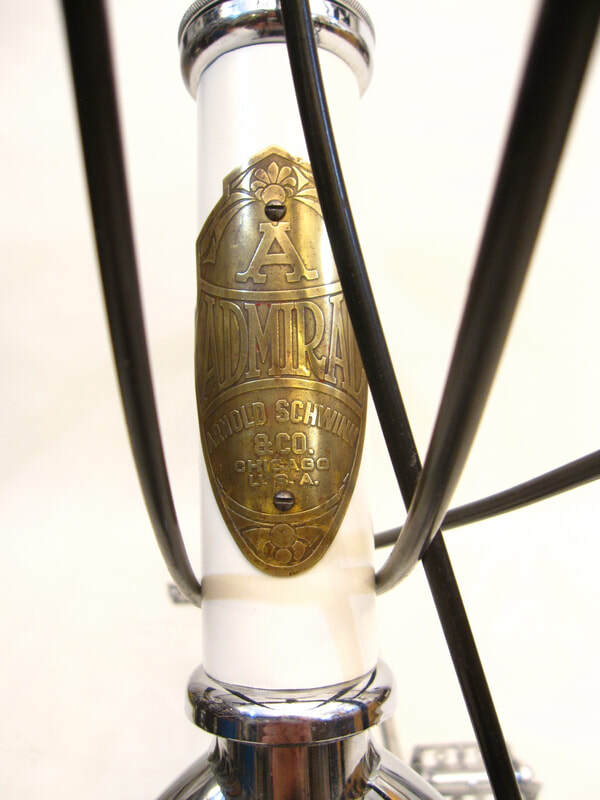 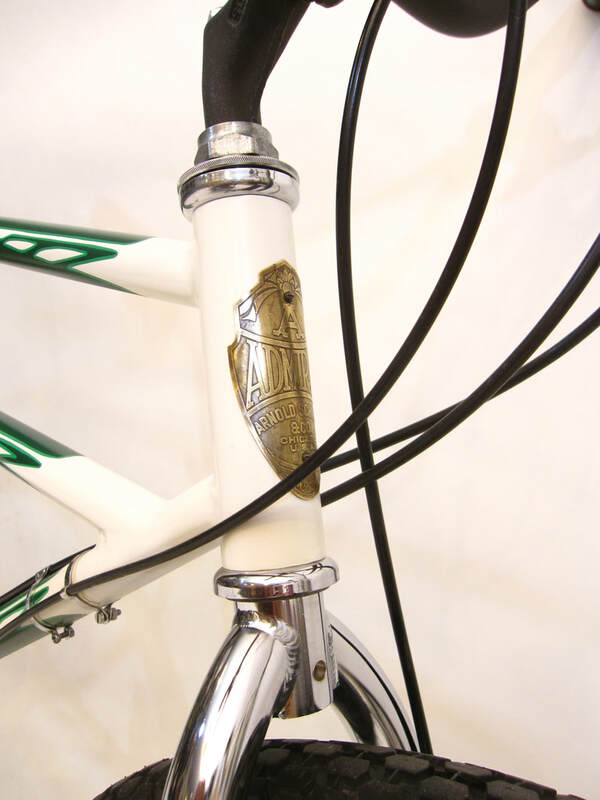 The Admiral head badge is also not original to the bike but adds a touch of class. 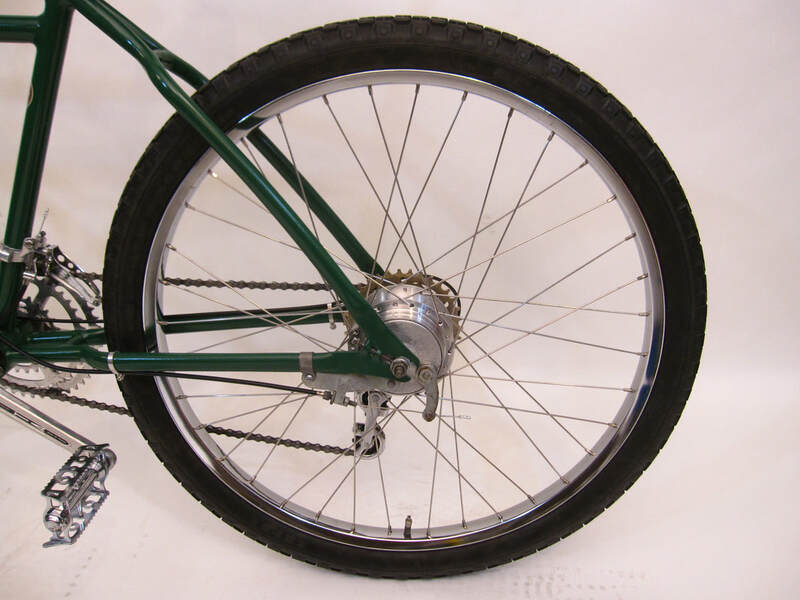 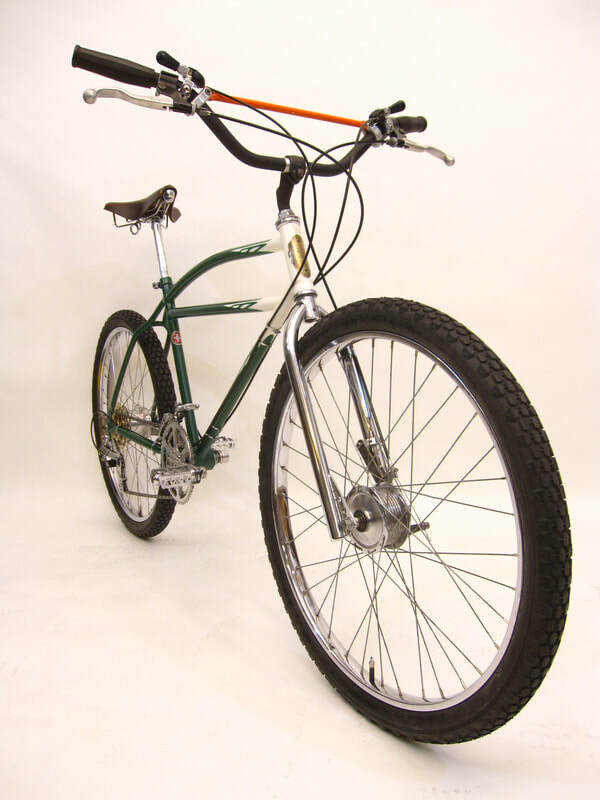 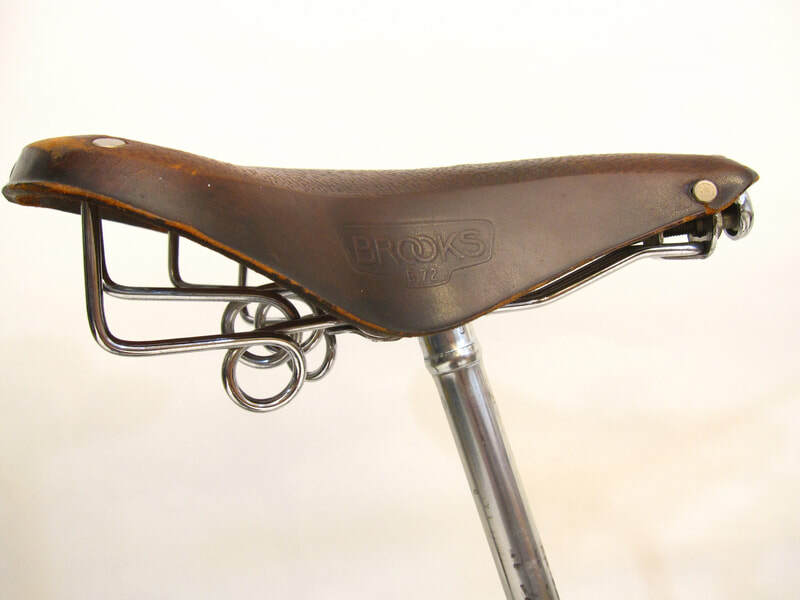 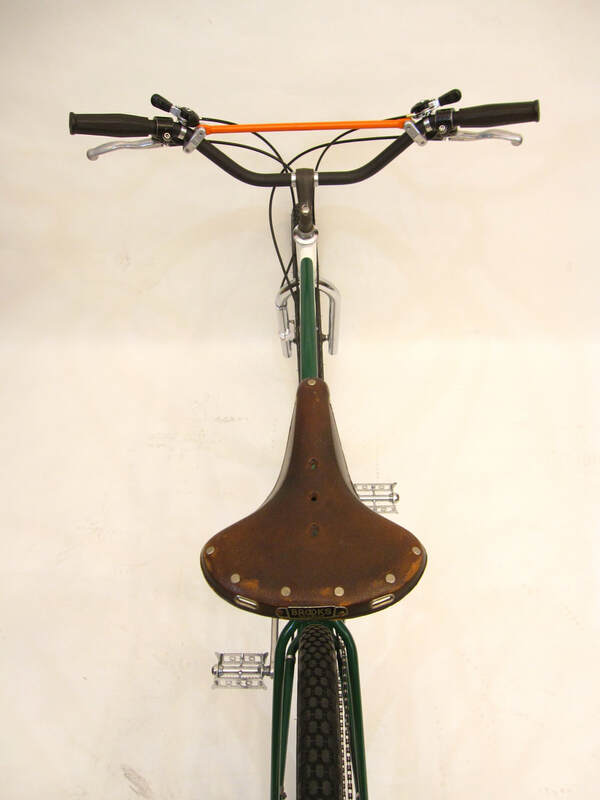 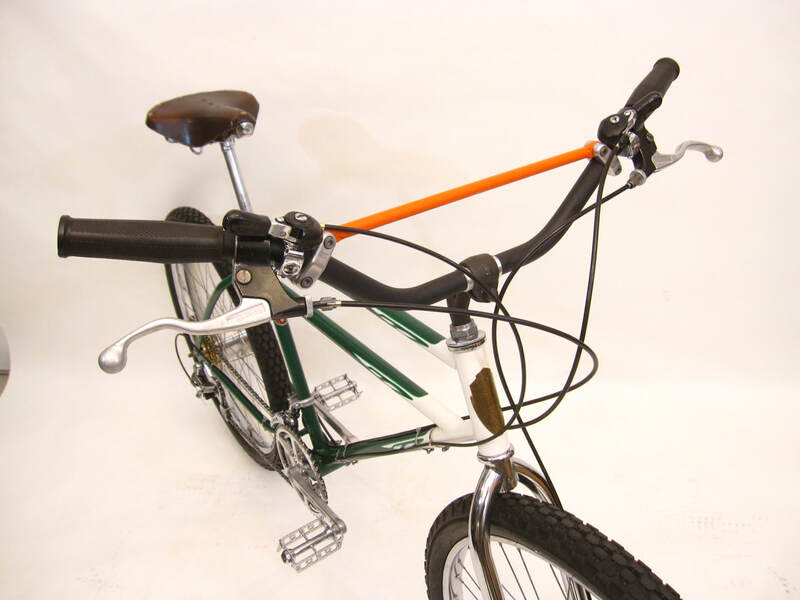 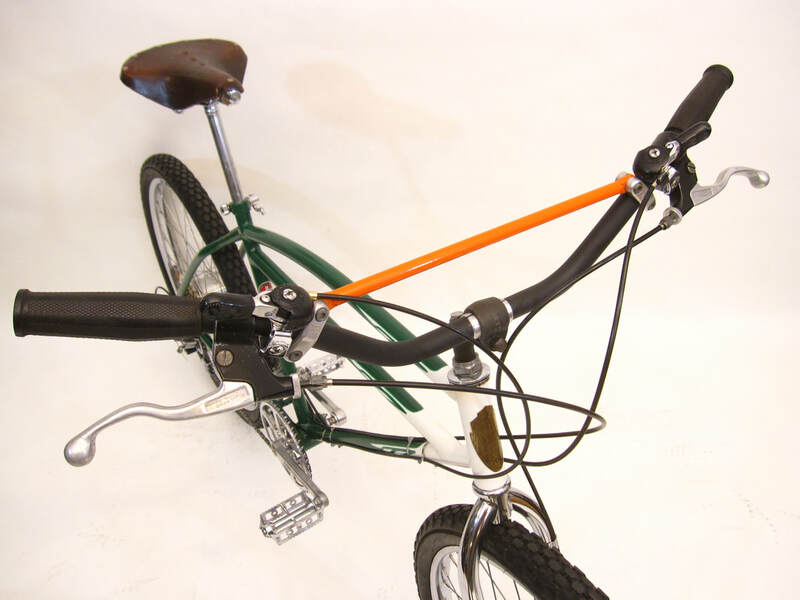 As was the case with any of the multi-speed klunker bikes back in the day, it takes knowledge and some tinkering to put one of these together to be a reliable bike. 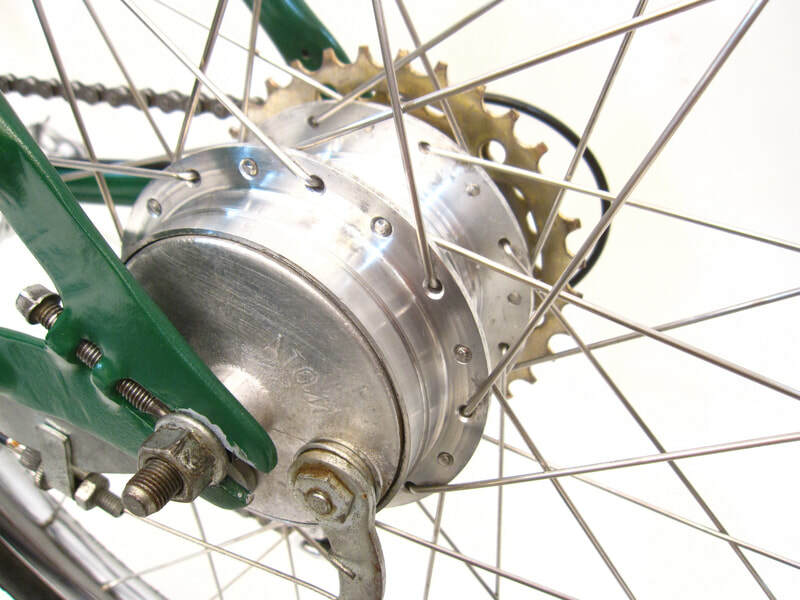 Don't fake the funk on a nasty klunk! 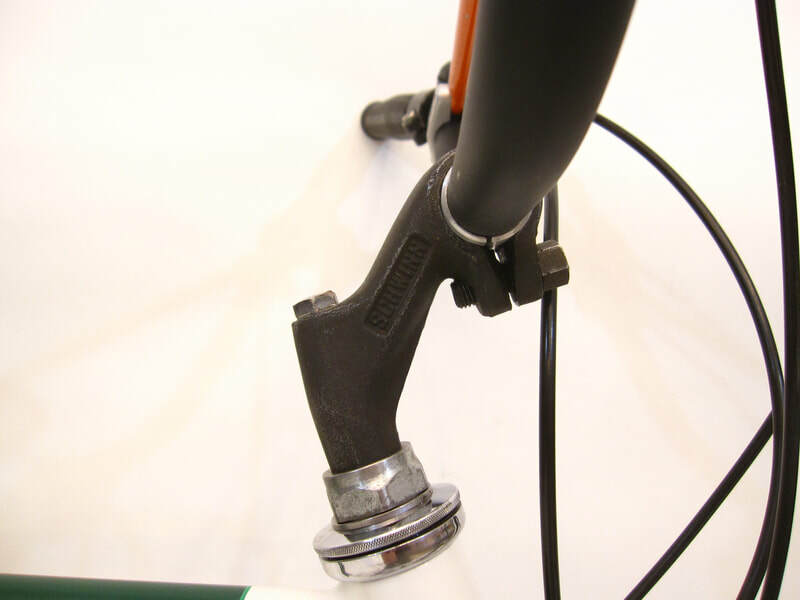 Brake Levers: Magura Motorcycle "Shortie"